Wethersfield is the setting for the children’s book, The Witch of Blackbird Pond and is considered the “cradle of the American Seed company.” It’s also the kind of place where the local “farm-to-fork” deli delivers to the elderly when they can’t leave their homes, and residents can’t help bumping into neighbors on daily walks. Come for some surprisingly good food, Revolutionary War and agricultural history, and of course, stay in comfort steps from everything. 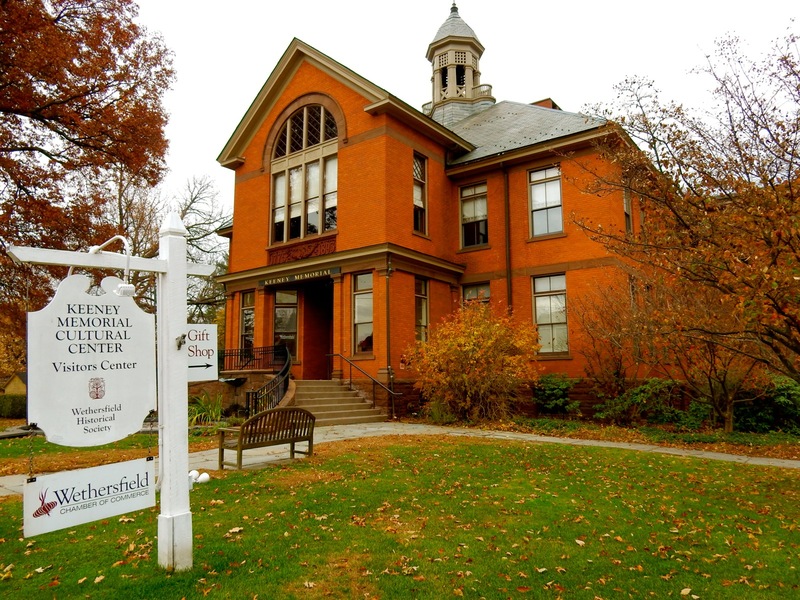 VISIT: Wethersfield Museum and Visitors Center AKA Keeney Memorial Cultural Center. Start your getaway here. In the former Board of Ed building, the Wethersfield Visitor Center also serves as a museum, encompassing approachable exhibits about all aspects of Wethersfield’s personality. 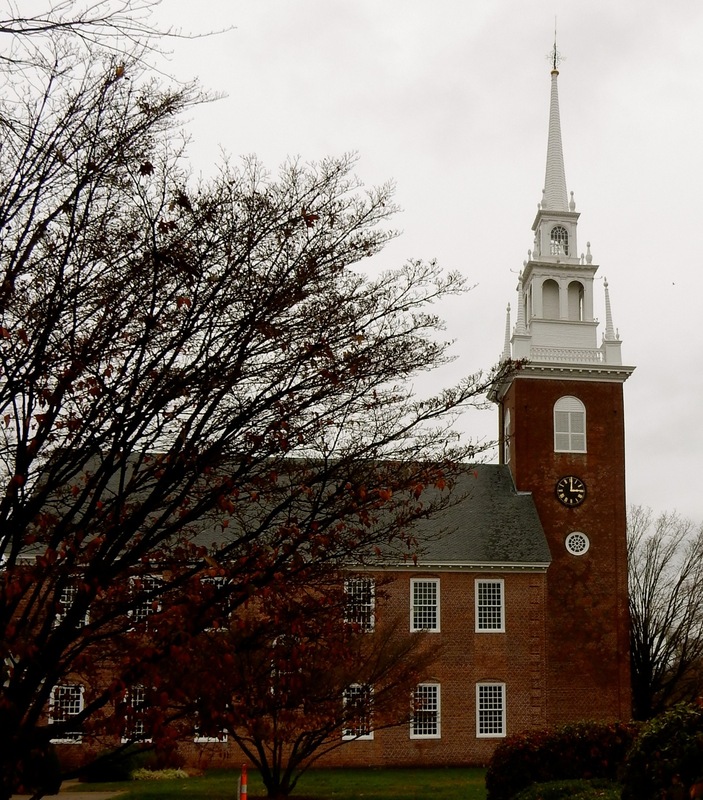 Thankfully for historians, Wethersfield’s residents came early to Historic Preservation (which nationally reached its peak during the Urban Renewal era in the 1960’s and 70’s). In the 1920’s several Wethersfield homes were torn down, prompting a response to save the rest – and this early rescue is now recognized as the key to this town’s appeal. Shipbuilding, furniture making, red onions and packaged seeds put Wethersfield on the map, and though boats and furniture are no longer made here, some onions and seed companies remain. Once a deep port on the Connecticut River, Colonial Wethersfield was a shipbuilding center. The Tryall, built here in 1649, was first in a merchant fleet that shipped beaver and deer pelts, salted meats, grain, flax seed, and of course onions around the world, creating wealth for resident exporters and ship’s captains. They, in turn, spent money on Wethersfield furniture, engraved with the town’s logo of three sunflowers, and purchased exotic foreign goods. Between 1738 and 1839, hundreds of residents grew Red Onions, (a third were women called “onion maidens”), which were primarily used to feed slaves in the West Indies. The town’s nautical era ended in the 1700’s, when the Connecticut River altered course, creating a shallow cove where a deep oxbow had been. And the onion era ended with blight in the mid 1800’s. But all was not lost. 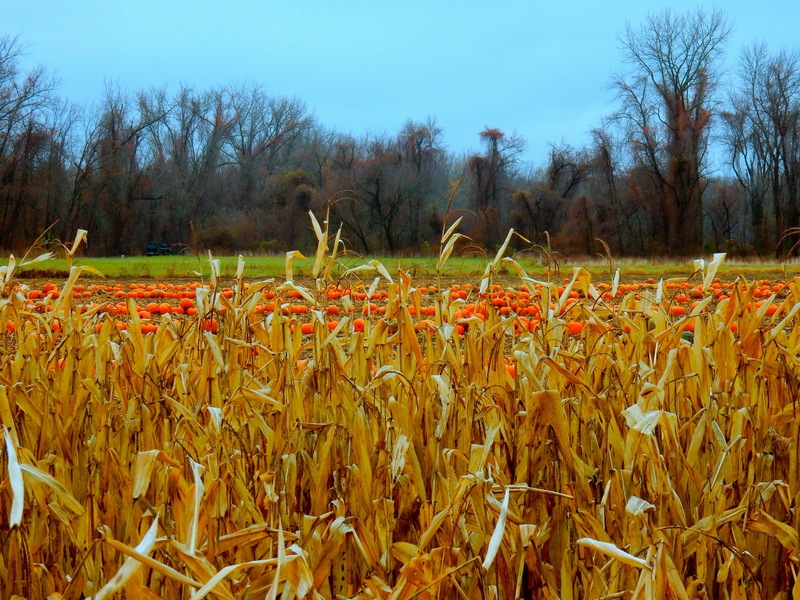 Wethersfield turned bad onions into good packaged seeds. And, in 1826, wealth came again with the construction of the State Prison – a penitentiary, like Eastern State Penn in Philadelphia, that attracted tourists. A trolley line was installed, connecting Wethersfield to Hartford. And in 1907, developer Albert Hubbard built 240 homes– still standing on roads identified by house-shaped street signs – in the growing suburb. The Wethersfield State Prison, called “Castle on the Cove” was a point of pride in town, and for some time it coexisted nicely with town residents. Wethersfield Little League played on prison grounds, the prison’s football and baseball teams played against town teams, and prisoners made ships in bottles, state license plates, and other goods. By the 50’s and 60’s, however, overcrowding and riots forced the prison’s closure, and in 1963, it was demolished. 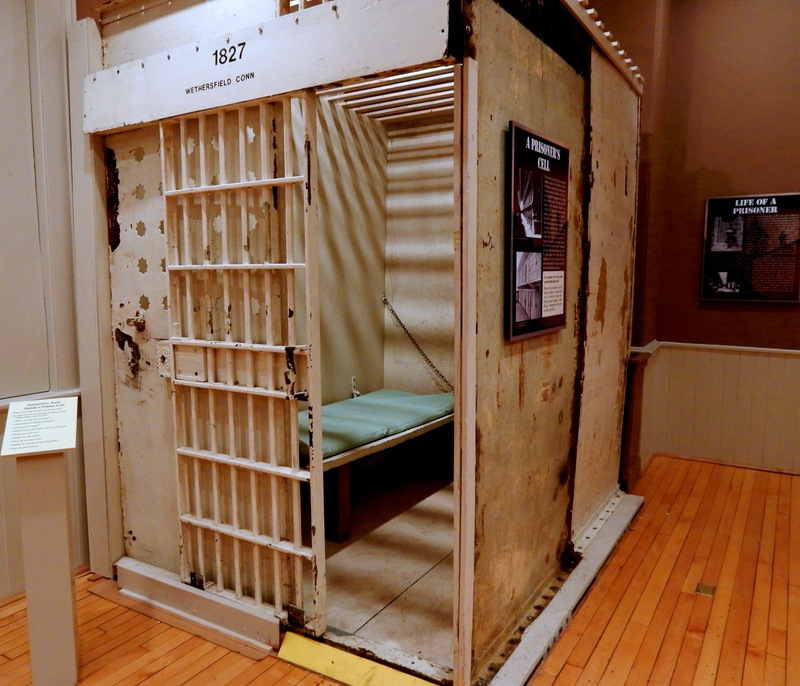 But you can step inside a cell, sit on the bench and slide the door closed in a special exhibit – probably the most popular part of the museum for kids (and adults). Come here to sign up for an engaging walking tour, pick up self-guided tour books or just talk to knowledgeable locals here. You’ll find town pride in abundance. Open Tues-Sat 10-4, Sun 1-4, free. TOUR: Webb-Dean-Stevens Museum. 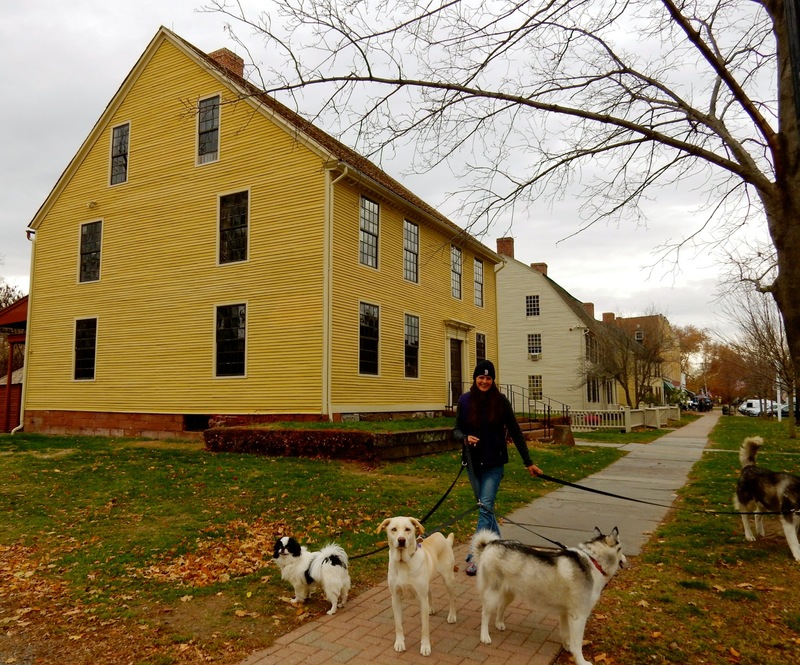 The most popular “museum” in Wethersfield is actually three separate homes standing next to each other – each with its own style and history. Of course, there is the verified claim that George Washington slept here, as the Webb House belonged to Joseph Webb, the brother of Washington’s aide-de-camp, Samuel Webb. But, there’s also documentation that Washington met with General Rochambeau here in May 1781, six months before Yorktown, discussing the logistics of moving his army from Newport RI to New York. Both Silas Deane and J. Webb were wealthy landowners, Deane a delegate to the First Continental Congress. Stevens was a tanner who had done business with the Webbs and was considered an acceptable neighbor. 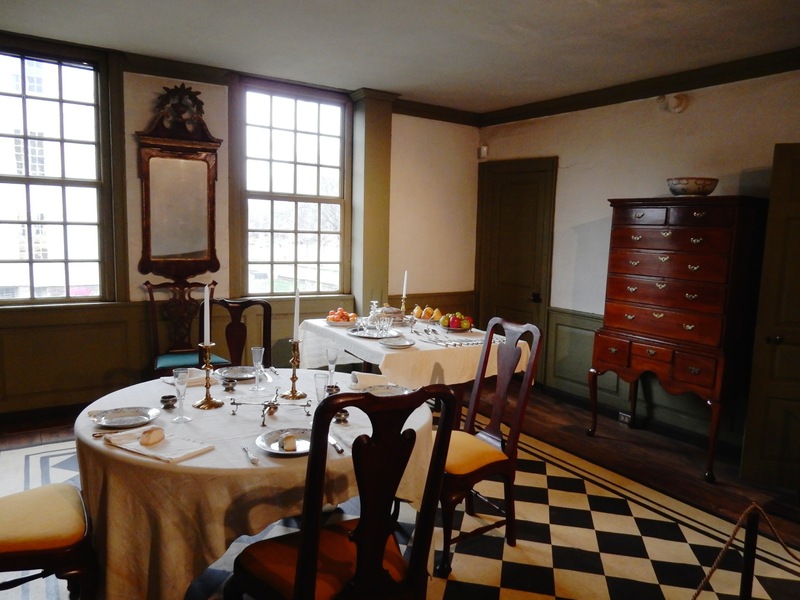 The 1770 Deane House was restored in the 1970’s – but historians now know that the interior colors would have been more vivid. As a statesman, and first diplomat to visit France during the American Revolution, Deane’s home would have housed prominent guests. The dining room is set up for a luncheon with dignitaries of the time. The Stevens House now represents a 19th Century “Man Trap:” by the 1800’s, home décor was the woman’s domain. Striped carpets and floral wallpaper came into vogue. Women would “stuff suitors with cake and entertain them on the piano forte,” according to a docent. 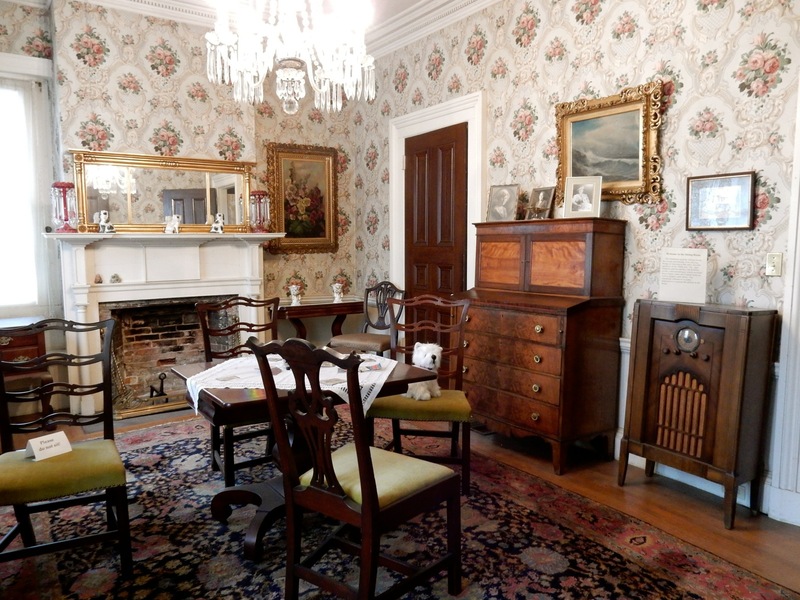 Interestingly, the history of the 1700’s Webb House was popularized in 1916 by Wallace Nutting, a retired Congregational Minister who took up art and photography and became a central figure in the Colonial Revival movement of the 1920’s. 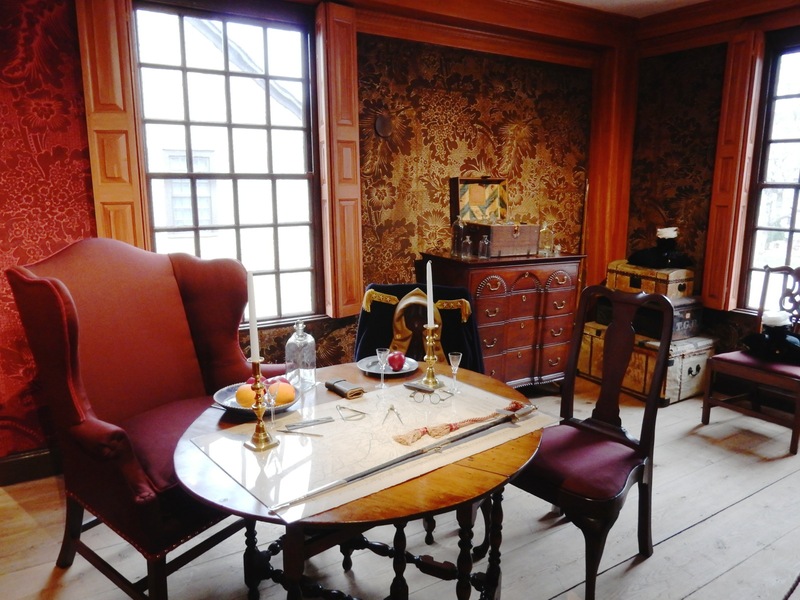 Nutting purchased five colonial era homes throughout New England, scoured antique shops for period furniture, painted inaccurate historic murals on the walls, staged rooms as they would have appeared during the late 1700’s, and took silver tint photos. He hired 100 women in Wethersfield to hand-paint the photos, which were sold in department stores all over the country. Over ten million pictures, favored as wedding gifts, were sold. Your tour provides a close-up look at these murals, restored in the mid 1990’s, along with an exhibit about Nutting. 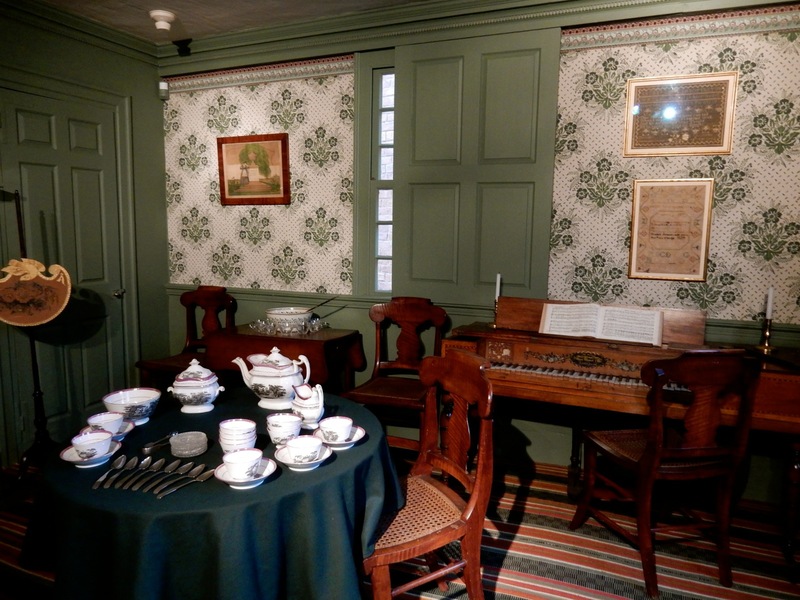 The most thrilling part of the tour is upstairs in the Webb House – a historically accurate renovation, complete with original wallpaper and faux cedar graining woodwork, in the “VIP Guestroom” where George Washington is believed to have stayed for five days while meeting with Rochambeau. 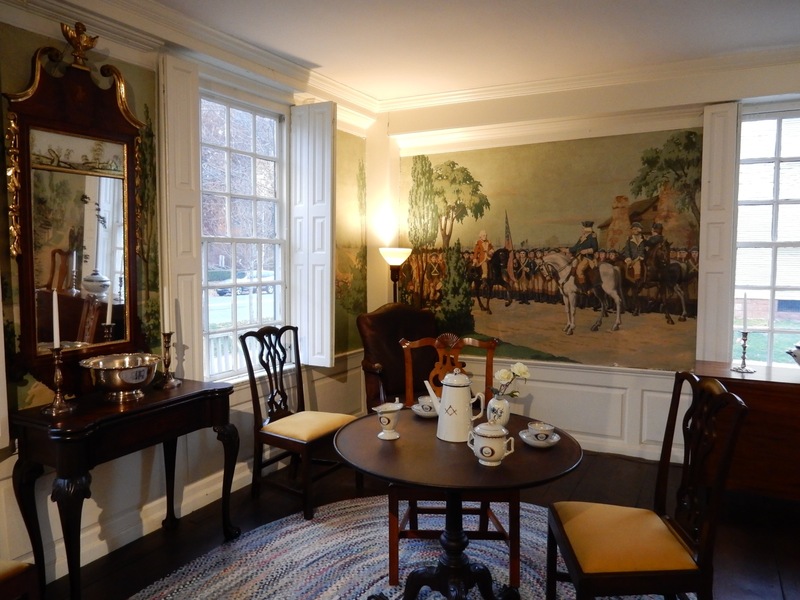 Reopened to the public in 2010, the room features a rich-red canopy bed, an example of the original wallpaper with English tax stamp on back, table with a map of Yorktown, and reproduction military dress coats draped over the chairs. Three house tour, $12 adult, $6 student, May-Oct Wed-Sat and Mon 10-3:30, Sun. 1-3:30. TOUR: First Church of Christ. Yes, George Washington prayed here. Originally built in the style of famous Church architect, Christopher Wren, the First Church was remodeled in 1880 to reflect the fussier Victorian tastes of the day. 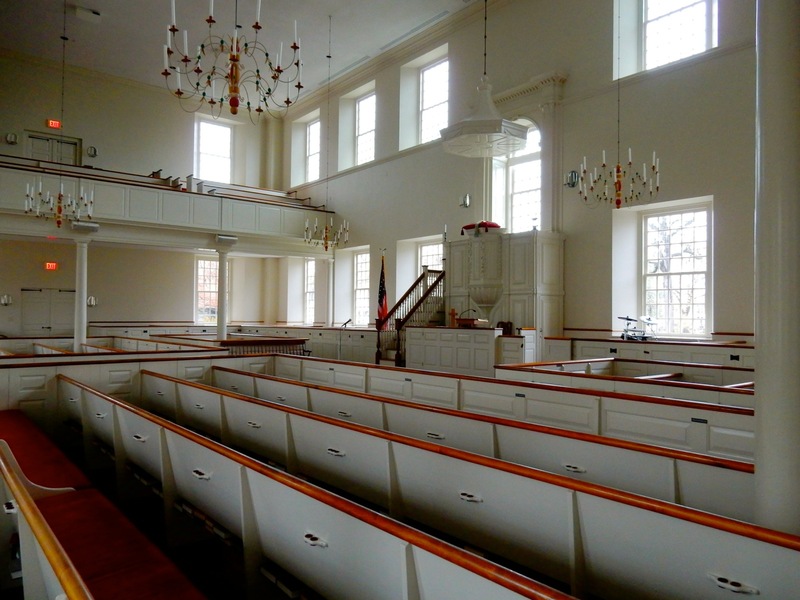 However, in 1973, First Church was restored to the way it looked when it was built – with high central pulpit, clear glass windows, chandeliers, and long slip and box pews. An original window, removed in 1880 and stored in the attic for nearly 100 years, was discovered in 1973. Amazingly, the original glassmaker was still in business in the UK, and thus the English company was able to replicate and replace the rest. Visitors are welcome to attend one of two Sunday Services, or take a peek inside anytime. 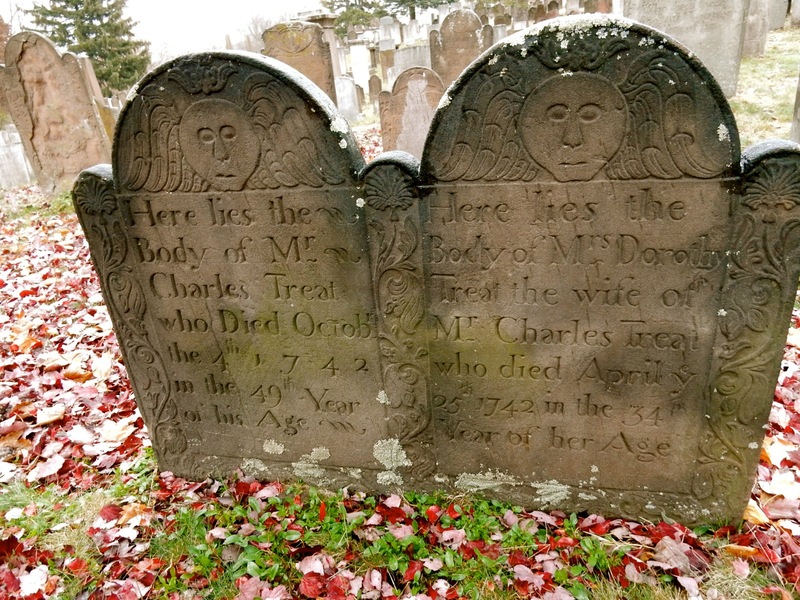 TOUR: Wethersfield Ancient Burying Ground. 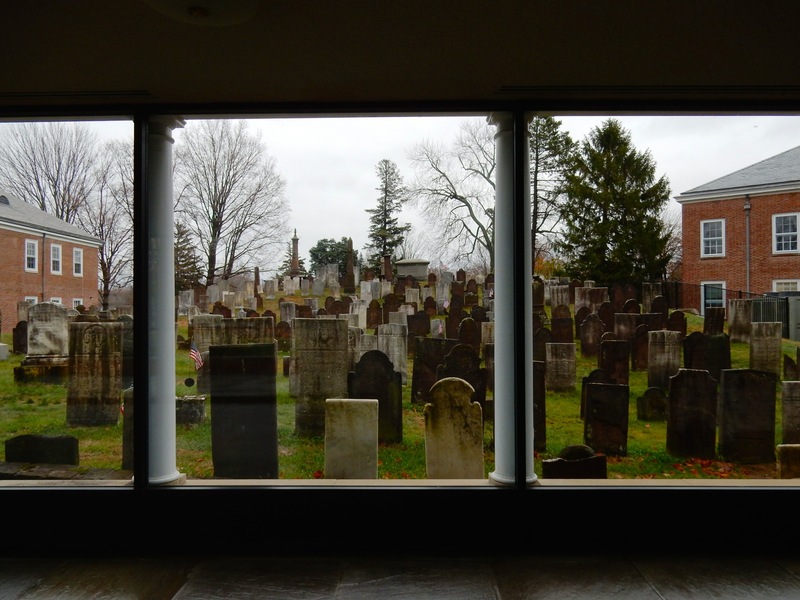 Adjacent to the First Church, tombstones here tell the story of Wethersfield and its settlers. Families of “Quality” were buried at the top of the hill, while slaves and free blacks were interred at the bottom. Though the oldest stone in the cemetery is marked 1648, the most compelling is that of Lydia Beadle and her four children, murdered by husband/father William in 1782 after he lost his wealth post-American Revolution. Fearful for his family’s reputation and standing in town, he felt it best they all leave this earth. A very sad story indeed. TOUR: Buttolph-Williams House. Middle-School kids are thrilled to visit this Elizabethan-style home, built in 1711, as it’s the setting for acclaimed 1958 book, Witch of Blackbird Pond. 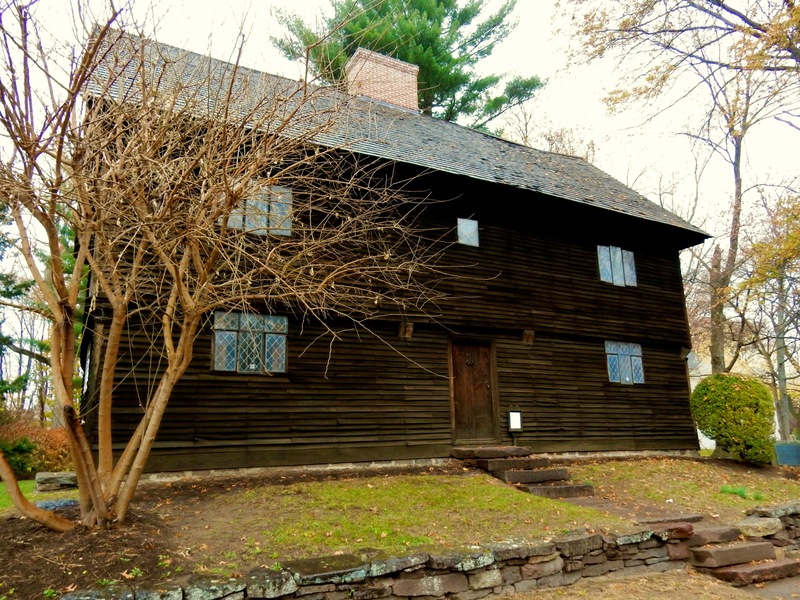 Author Elizabeth Speare’s work of historical fiction illuminates accounts of witch trials in Wethersfield in the mid-1600’s (predating those of Salem MA by 30 years), though the Buttolph-Williams house itself never had anything to do with witches. With only four rooms, the structure was a stagecoach stop and then a home for the Williams family for a hundred years. 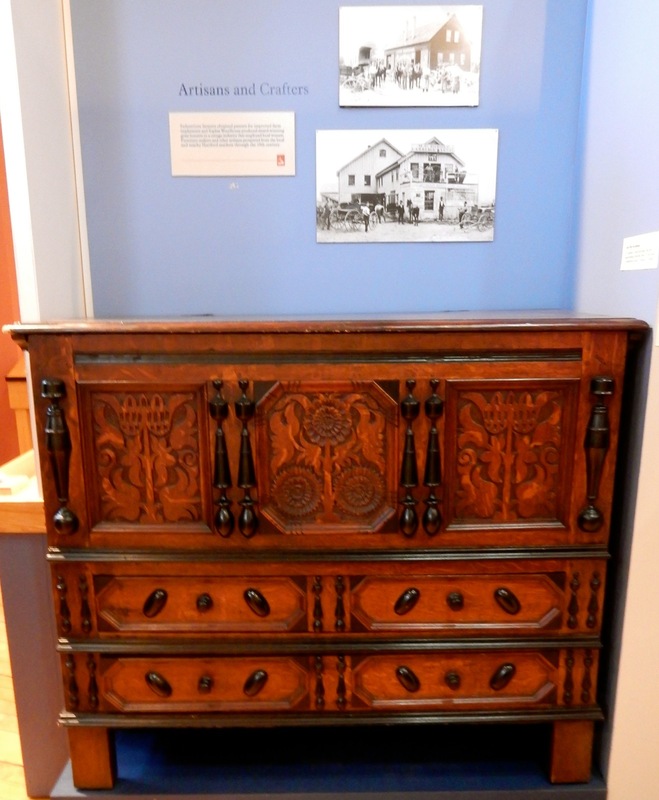 Furniture is authentic to the late 1600’s (though not original to the home), with the oldest and most rare items a blanket chest, a 1690 Lantern Clock (hour hands only), and a 1680 “Fireback” – an ornate iron design in the rear of the walk-in fireplace. 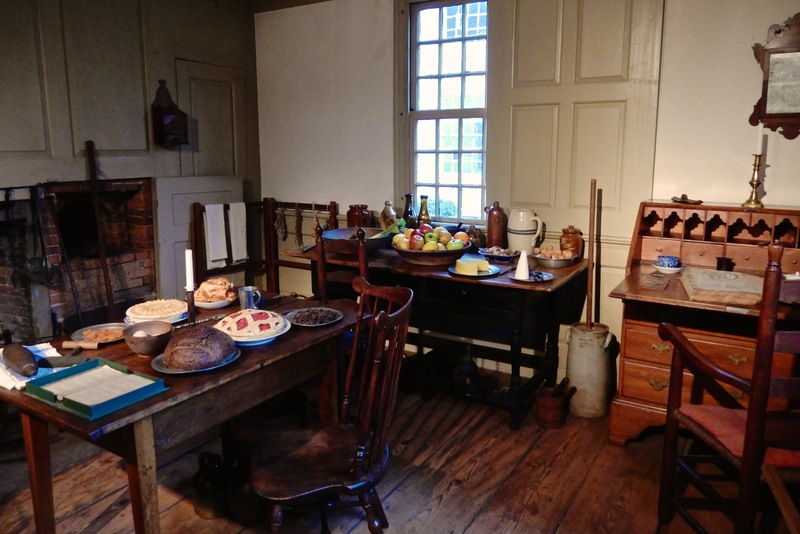 The stark design, and dark exterior color represent the transition between Old England and Colonial America, and offers a glimpse into the Pilgrim’s life, which was not as dreary and monotone as one might expect. 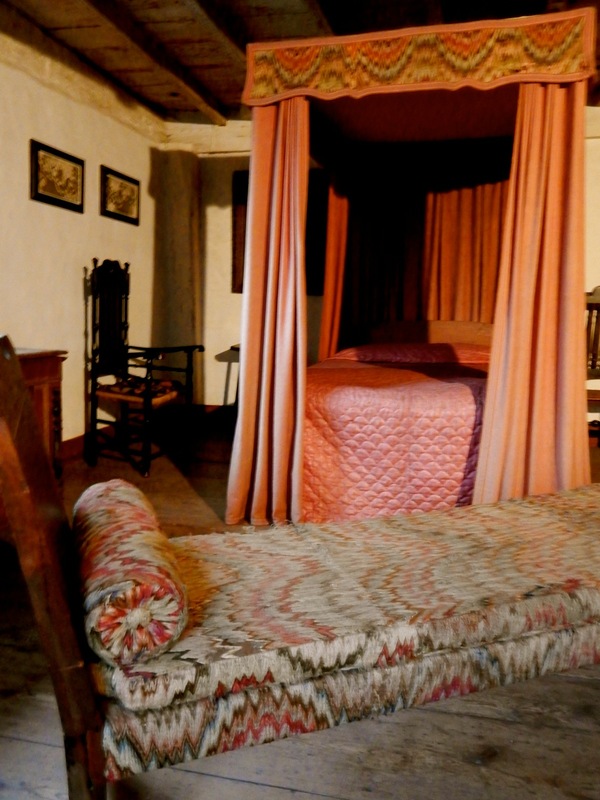 Upstairs, a pink four-poster bed features funky-looking Hungarian Flame Stitch canopy and settee, a whimsical design that dates to the 1500’s. Open May-Oct. Wed-Sat, Mon. 10-4, Sun 1-4, $6. VISIT: Cove Warehouse. 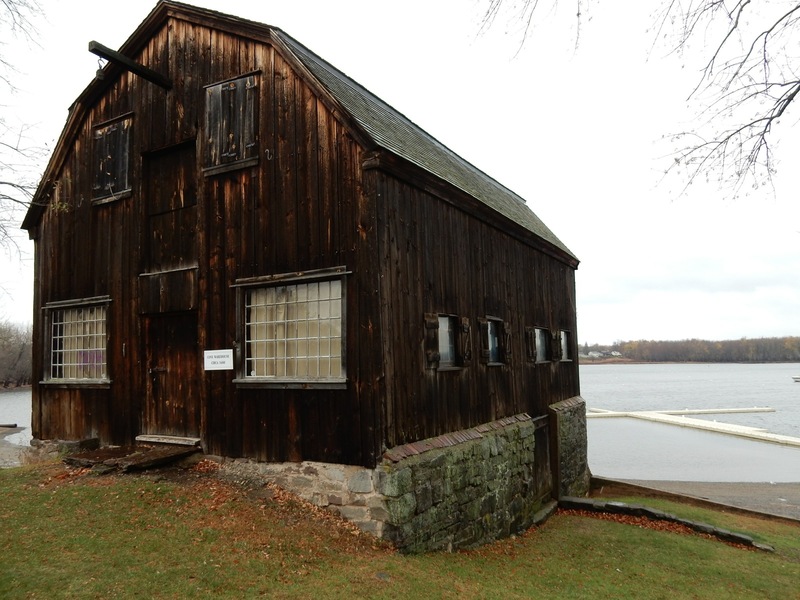 This circa 1680 warehouse was situated on the bend of the Connecticut River before the rerouting of the river in the late 1700’s caused economic decline. For nearly 200 years, farmers grew produce in the fertile soil for the community and for trade. Ship-builders used local timber to build boats that brought products to points along the Atlantic rim. Now, the warehouse sits perched over a quite shallow cove, and houses plenty of interactive artifacts for hands-on learning. 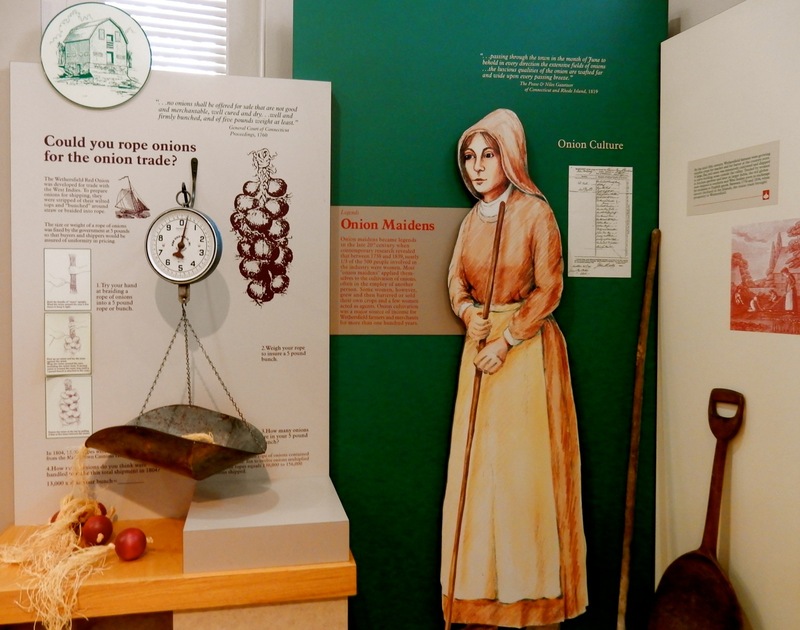 Use shipwright tools, peek into barrels, pull block and tackle, make tree nail pegs, and braid ropes made from tops of onions to get a first-hand idea of life here in Colonial times. Open Sat/Sun 1-4, free. TOUR: Hurlbut-Dunham House. Though most historic homes in Wethersfield represent Colonial History, the Hurlbut-Dunham House, last owned by society couple, Jane and Howard Dunham in the 1900’s, reflects more modern sensibilities. First built for Captain Hurlbut in 1790, and renovated to Italianate design in the late 1800’s, the house is crammed with the Dunham’s original furniture and accessories, including a radio, card table set with ongoing bridge game, monogrammed golf bag, and steamer trunk. The Dunham’s never had children, but loved dogs, so you’ll see evidence of that passion throughout the rooms. It’s a unique peak into a lesser-known era – post Victorian, pre-mid-century modern – and worth a 45-minute peruse. Open Memorial Day – Oct. Sat., Sun. 1-4, free. VISIT: Comstock Ferre & Co. Good news! The oldest continuously operating seed company (est. 1811) in the country came back to its original location. Sort of. 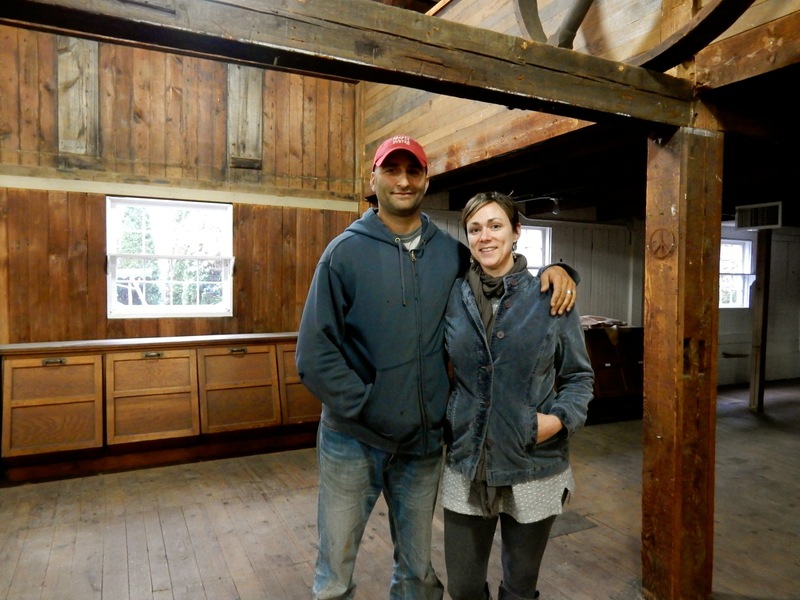 Bought out by Baker Creek Co., the old Comstock Ferre property has reopened as a gardening supply, natural food market, gift, seed and café emporium thanks to young foodie/chef couple, Spiro and Julia Koulouris, who are leasing space through the new owners. The Koulouris’s repurposed old seed cabinets and used reclaimed wood to renovate the barn, creating a place to eat, shop, and provide advice on gardening with a selection of 1,700 different kinds of seeds. They also offer classes in Urban Gardening, created a year round “seed to plate” indoor Farmer’s Market, and much more. This is a large coup for Wethersfield – one that has been drawing back-to-earthers in droves. 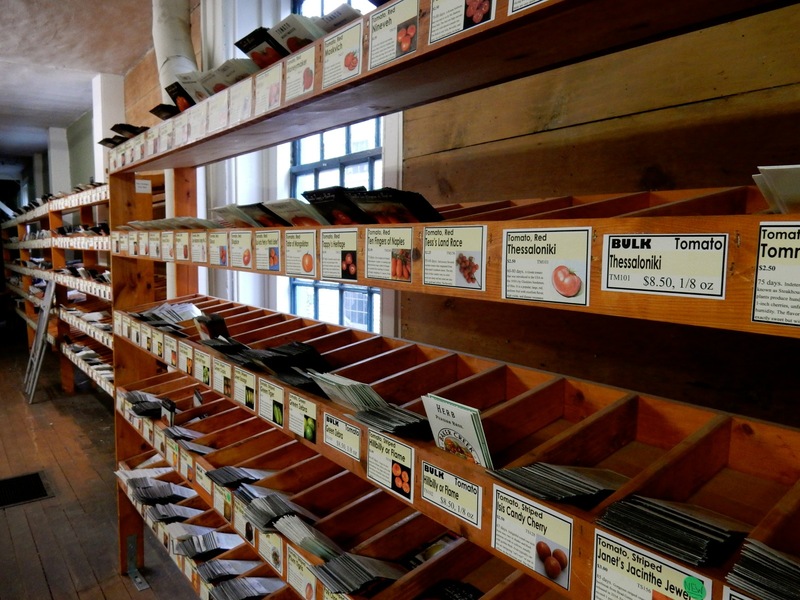 SHOP: Hart Seed Co. 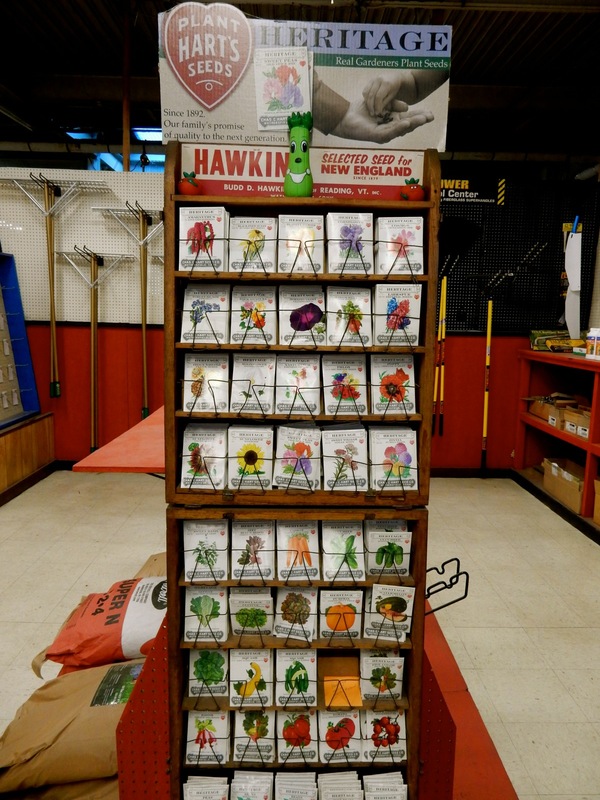 This 4th and 5th generation-run seed company has been in operation since 1892 here, and though Hart sells mostly wholesale, you can purchase heirloom seeds, and garden, grass and turf maintenance tools and products at the on-site retail shop. GO: Wethersfield Historical Society Library in the Old Academy Building. Originally the local High School, this 1804 building has been repurposed as offices for the Wethersfield Historical Society and Genealogy Research Center. If you are a scholar or writer researching for a book, this place is priceless: an extensive Maritime Collection includes business records, ledgers, log books and ephemera going back to the early 1700’s. 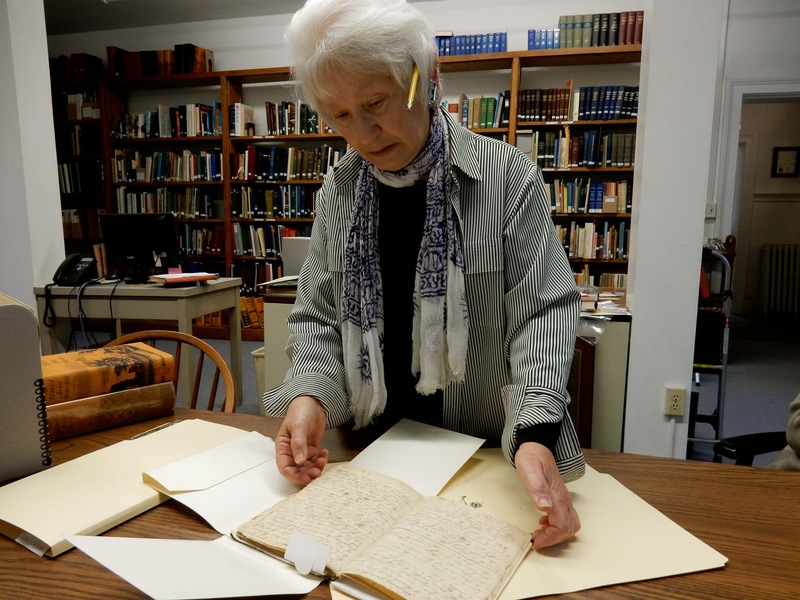 Back then, trade was Wethersfield’s “life blood,” according to librarian, Martha Smart. From the log of a 1786 ship: “7pm- weigh anchor in New London, winds fresh out of west, bound by God’s grace to Martinique.” Open Tues-Fri 10-4, free. DO: Wethersfield Academy of the Arts. Sign up for a one-day (6 ½ hours on Saturday) or evening workshop on flower painting, Plein Air Garden painting, color mixing, drawing or other esoteric art applications at this professional art studio. 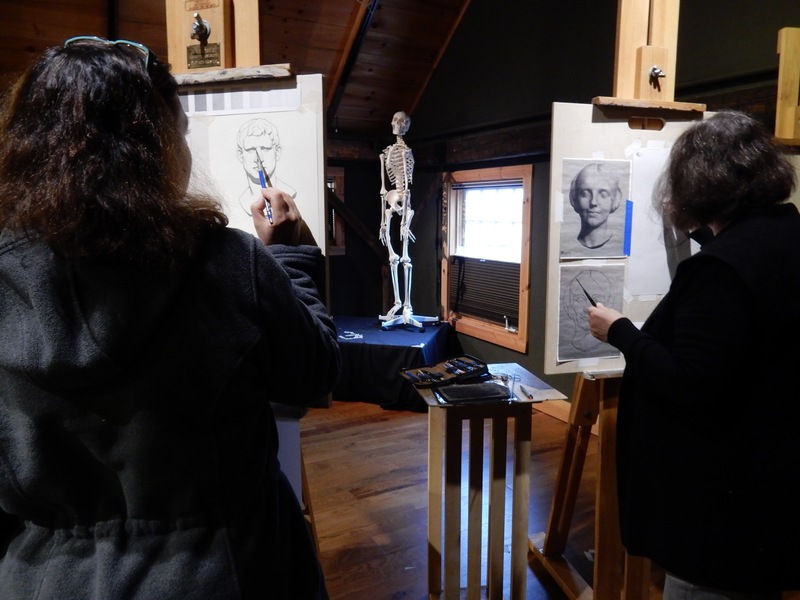 This classical atelier is the only one in the area outside of New York and Boston that provides Barque Drawing courses for the serious artist-in-training. Some students drive an hour just to take this figure and anatomy reproduction class. But drop-ins are welcome to attend evening lectures, music, poetry slams, demonstrations and other cultural events. Check website for event and class calendar. There’s always something going on. One-Day Sat. Workshops 10-4:30, $95, rsvp required. WALK: Broad Street Green. Ringed by beautiful old homes (some for sale! ), including the Silas Robbins B&B, this lush “Central Park” originally used to graze livestock, is considered the Birthplace of the US Cavalry. 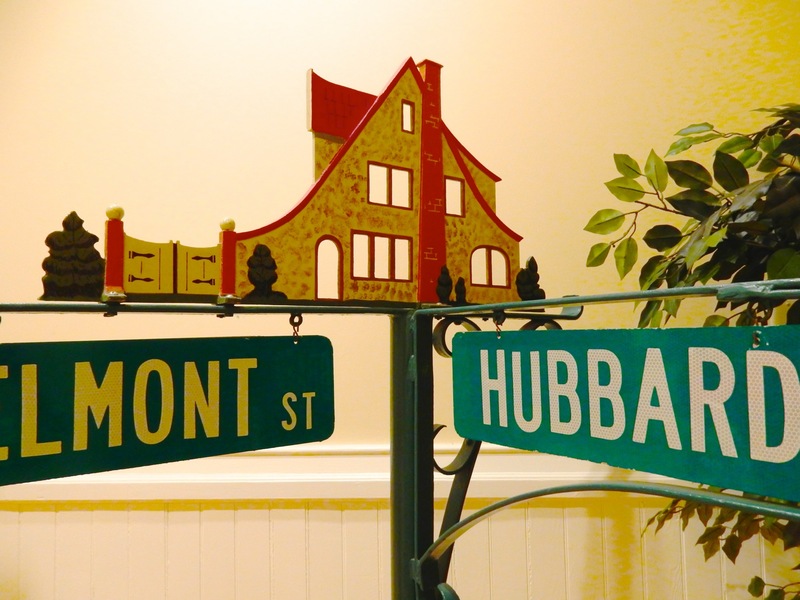 You’ll also find Hubbard House street signs indicating those iconic homes on surrounding roads. They remain desirable Wethersfield real estate. HIKE: The Meadows. This must have been the way Wethersfield looked when the settlers arrived here: flat, flood-prone, fertile farmland. Hidden from bordering Interstate 91 behind the corporate Putnam Park, acreage managed by the Great Meadows Conservation Trust is now popular with model airplane enthusiasts, Fish and Game Club members, and birders. Go out on a hike with naturalists to see eagles and other birds nesting in boxes, or just take a drive on the long dirt road that leads you to the Meadows. You’d never imagine that commerce and civilization are just a few feet away. SHOP: Old Wethersfield Country Store. 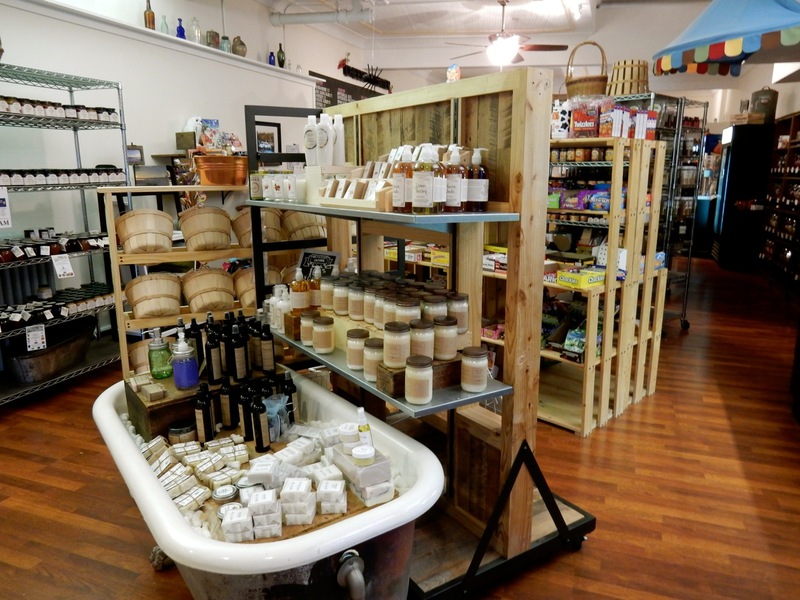 A “country store” for hipsters, this place stocks specialty peanut butters from NYC, a selection of soaps and lotions, and prepared foods for discerning patrons. 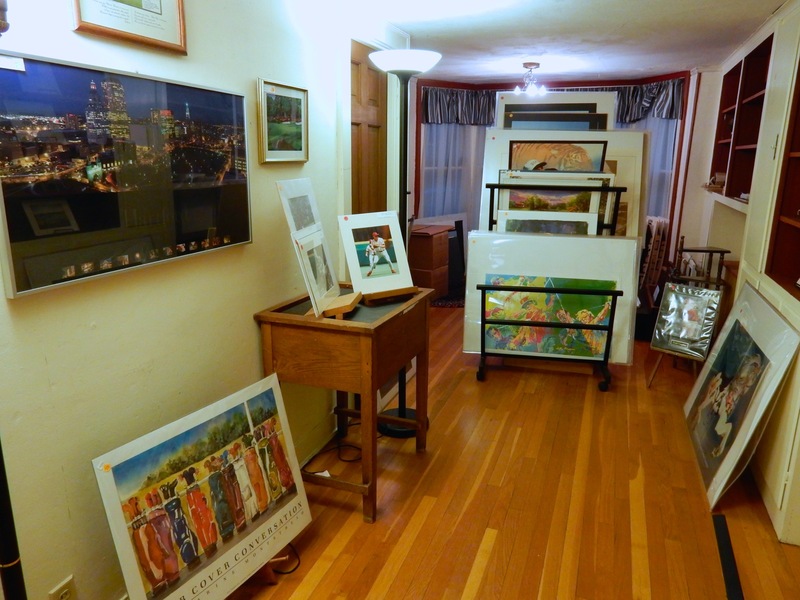 SHOP: Antiques on Main for well-priced finds, Neill Walsh Goldsmiths & Gallery for one of a kind fine jewelry, Heart of the Country for gifts and hand-made crafts, and for the UCONN fan in your life, stop into House Of Images, a frame shop with a whole room full of Sports Art. EAT: Lucky Lou’s. In the 1787 Deming-Standish House, this upscale Italian/American tavern could rest on atmosphere alone. But the food hits a high mark as well. By day, it’s a locally sourced burger and salad place (Italian Veggie Burger $14, Lobster Roll $16, Lucky’s Chopped Salad $10), by night a chophouse (“fantastic lamb chops and steaks”). 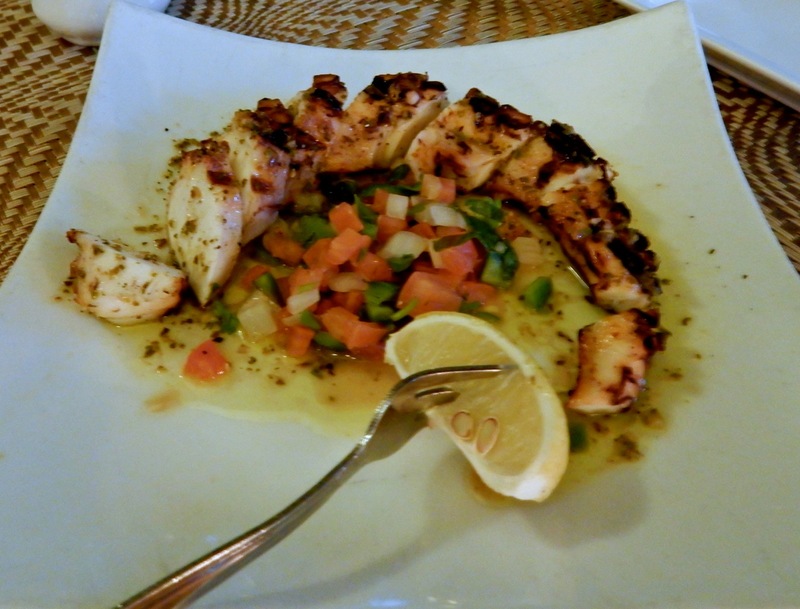 But any time you go, you’ve got to try the slightly charred octopus. I’ve dined on these generally-chewy creatures around the world, and this soft, slightly smoky version is the best I’ve ever had. EAT: Edo Ichi. Though not technically in Wethersfield’s Historic District, this sushi palace (on Silas Dean Hwy.) is the real deal. 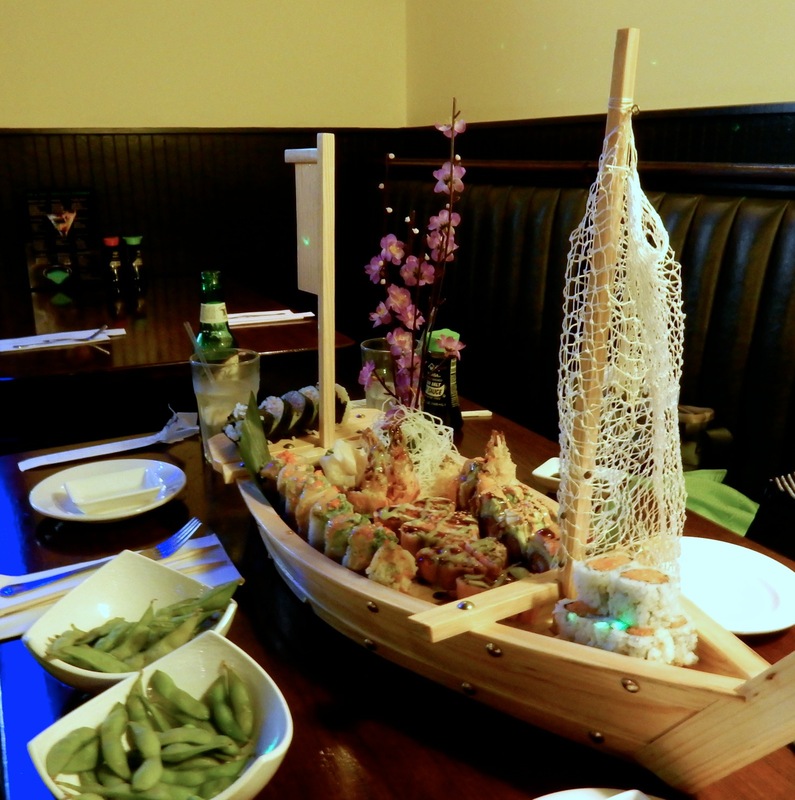 Rolls are fresh and creative, and come to the table on model ships. And the best part? They are reasonably priced at $5 and $6 per roll. EAT: Cove Deli. 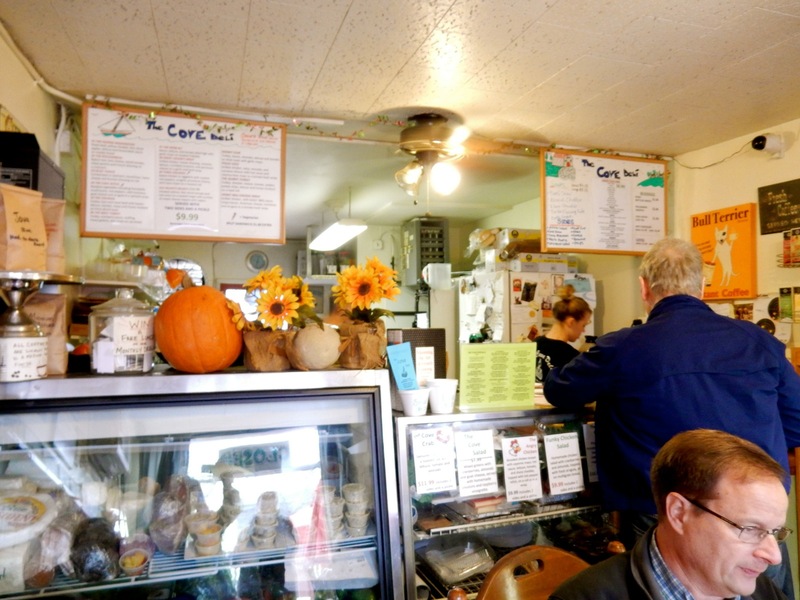 Though a bit confusing, this popular little next-door-farm-to-paper-plate take-out/catering place with a few tables is not on the cove, but is right in the historic center. You’ll find simply great soups, overstuffed sandwiches and other prepared foods. Best deal – $9.99 for sandwich, two sides and a pickle. 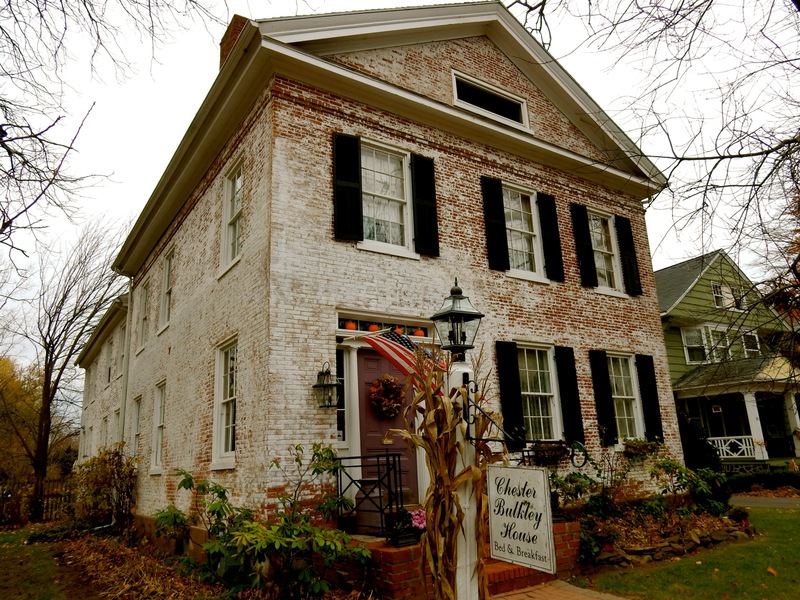 STAY: Chester Bulkley House B&B. Original wide floorboards, painted in vivid colonial colors, list this way and that in this beautiful white brick home, built in 1710, with an 1830 Greek Revival addition. 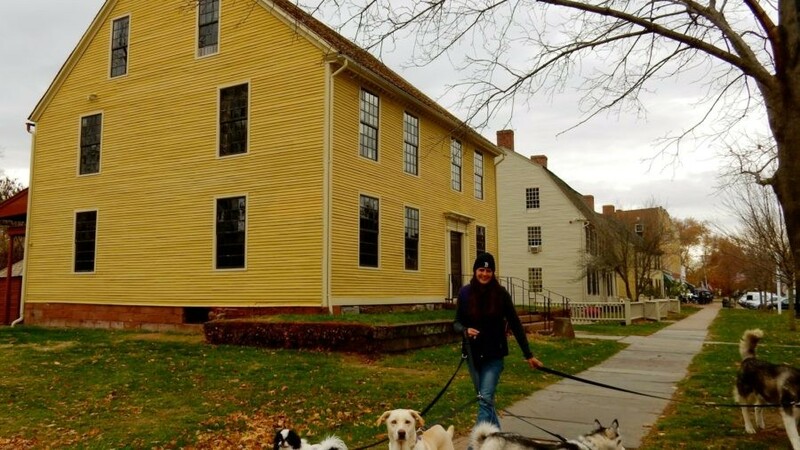 You might feel as if you’re on a ship at sea, but you are actually next door to the Wethersfield Visitor’s Center – rendering the Chester Bulkley House a most convenient and charming place to stay. 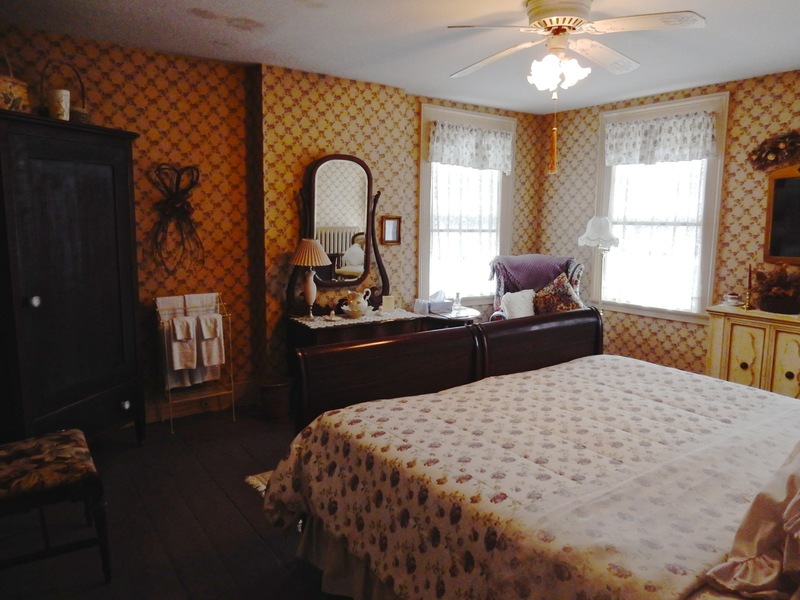 Bedrooms are not ultra luxurious per se, but are clean, filled with interesting antiques and comfy bedding. Small bathrooms feature some cutesy flourishes, like dipped candles and tiny straw hats hanging from towel pegs. And elegant common rooms are dressed for each season. 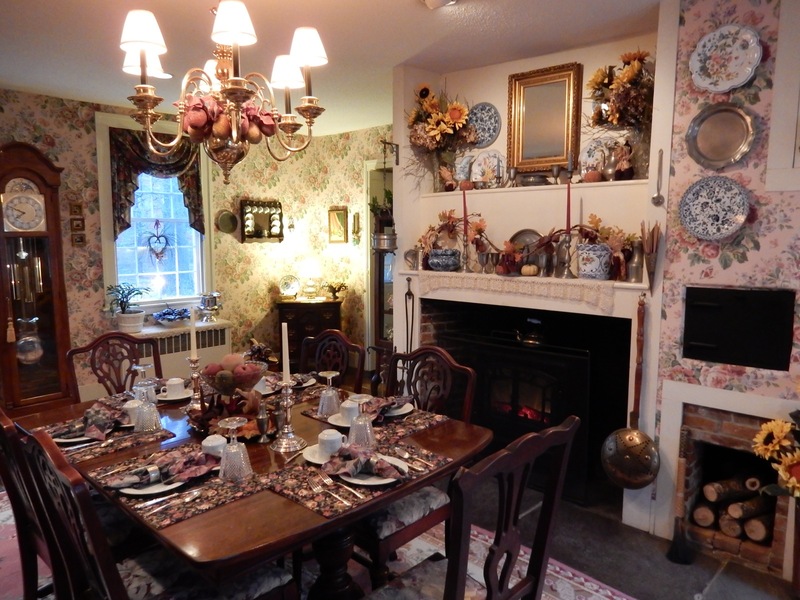 The dining room is especially appealing, with handsome sideboards groaning with knickknacks and a large fireplace. This is where owner/innkeeper, Tom Aufiero, serves his “Candlelit Breakfasts.” If you’re lucky, he’ll make his famous French Toast with Spiced Peach and Homemade Syrup, featured a few years ago in the Hartford Currant. Rooms with private bath, $165, shared bath $105, include full gourmet candlelit breakfast. STAY: Silas Robbins House. 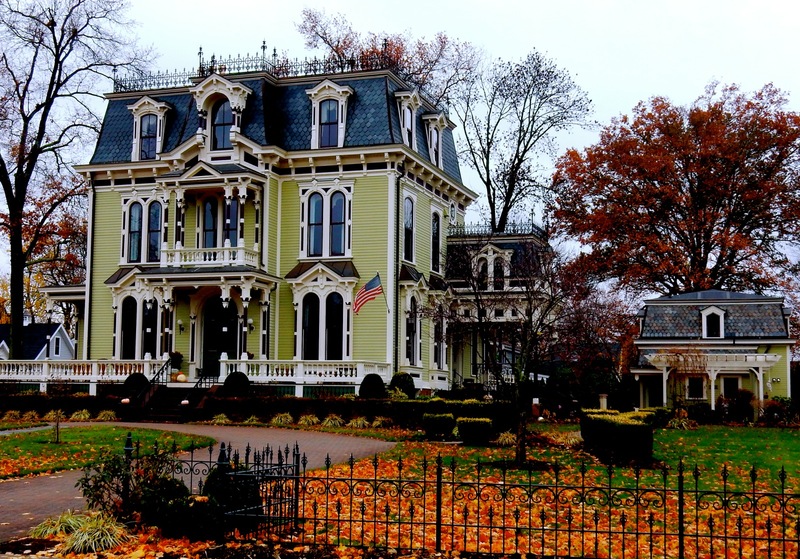 A “new house in an old shell,” this former lawyer’s office on the Wethersfield Green opened as a B&B in 2007 and manages to capture the grandeur of the Victorian era. Rooms and bathrooms are sumptuously appointed, and a lovely gourmet breakfast is served in a formal tearoom. Rooms from $195-$325 include breakfast. Looks like a great picture of Wethersfield and all it has to offer to locals and visitors alike. Exciting to realize the many beautiful old homes, and to have so many of them close by the Cove and water access to the Connecticut River for boating, ending at Long Island Sound and Atlantic Ocean. It is the best of both worlds. Love Wethersfield; one of my favorite towns in the world. Wethersfield Academy offers many worthwhile art education opportunities with world class artists. I love this town. As a resident of Alexandria, Va, I am a fan of our founding history. Wethersfield not only supplies that need; but, also has a citizenship that is open and friendly. I would recommend people to visit Wethersfield any chance they have. A truly wonderful place. I love Wethersfield, especially Old Wethersfield. I lived there for many years and would move back if at all possible. Thank you for posting this wonderful tour. This is such a wonderfully written article that captured so well the many beautiful features of our great town. A life long resident reading this will be reminded of some of the awesome history and features that the daily resident might forget. Well done. I moved to Old Wethersfield in October after a chance trip to the are had me falling head over heels in love with this beautiful town. I am so happy to be here now, getting to enjoy the beautiful scenery where a walk through the town to the cove daily is such a treat. I always look at the beautiful homes on Main Street and dream of one day having my own. The Country Store is awesome too, such nice people running it and they have little gems inside from Stonewall Kitchen treats to little homemade personal care goodies at the front of the store. I couldn’t be happier living in this awesome neighborhood and look forward to exploring it even more in the months and years to come.